Thanksgiving is less than two weeks away! Whether you’re doing a traditional turkey or living on the edge with a tur-duck-en, stuffing is a perfect side dish. It doesn’t even have to be for Thanksgiving. With this easy stuffing recipe, you can cook up a delicious twist on stuffing in a matter of minutes with the help of the limited edition Lucky Leaf Premium Apple Cranberry Pie Filling Or Topping. 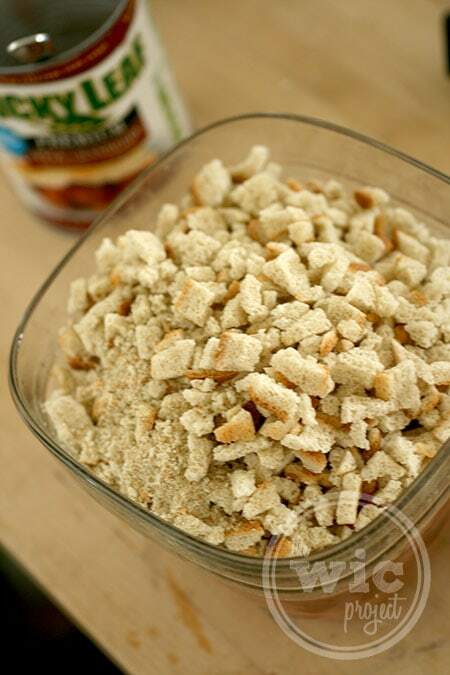 Delicious stuffing in 12 minutes. Combine water with butter or margarine in a large microwave-safe bowl. 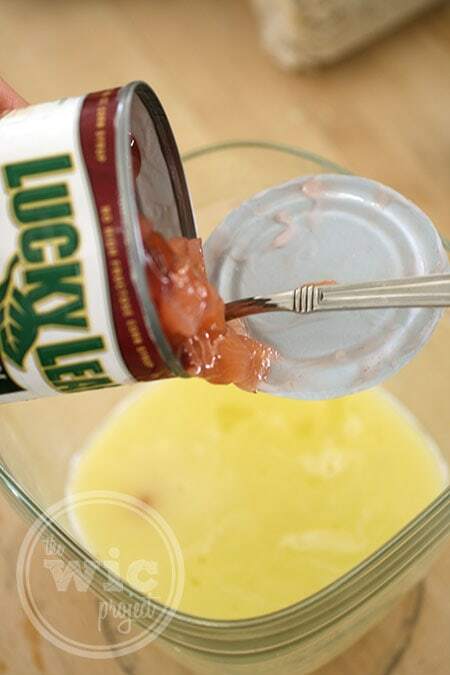 Add LUCKY LEAF Premium Apple Cranberry Pie Filling and cook for 4 additional minutes. Remove from microwave and stir in stuffing mix and seasoning packet. Return to microwave and cook for 5 more minutes. While this stuffing can be prepared on the stove, I decided to give the microwave a try. I’ve never cooked stuffing with a microwave, so this would be an adventure. The first step is easy – melt the butter in the water. Check. My microwave did this in about 2 minutes, so definitely keep an eye on it. For a quicker butter melt, don’t throw in a big chunk of butter. Cut it up into smaller pieces and they’ll melt faster. Yes, I totally used the bowl I was going to store the stuffing in to cook the stuffing. Fewer dishes to wash. Brilliant, yes? Then, I added in the LUCKY LEAF Premium Apple Cranberry Pie Filling, gave it a quick stir, then put it back into the microwave for another minutes. Finally (wow, we’re at the last ingredient!) add the stuffing mix and seasoning packet (if there is one) and mix together. Cook it for the final 5 minutes and BAM! 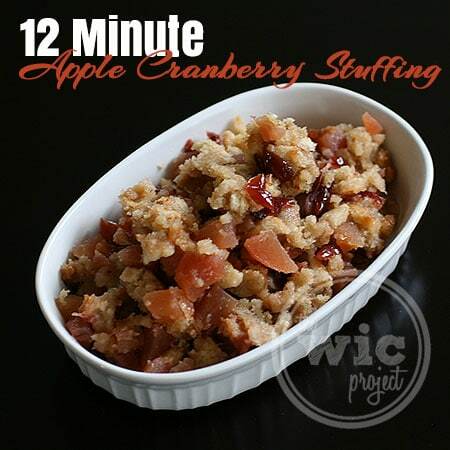 12-minute apple cranberry stuffing. The stuffing was delicious. I loved how I could taste the sweetness of the apples and cranberries throughout the stuffing. I think next time I’ll add some toasted pine nuts or celery for a little but of crunch. If you already have a favorite stuffing recipe, you can try giving it a fun twist by adding the Apple Cranberry Pie Filling in to your recipe. What do you put in your stuffing? Fruits? Nuts? Something else? 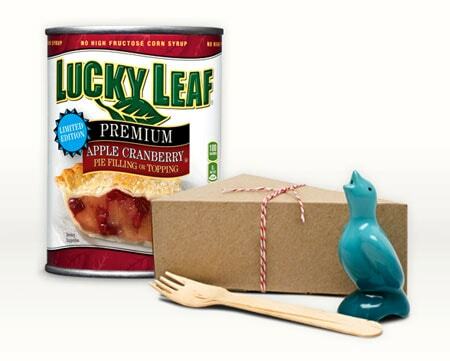 One winner will receive a Lucky Leaf prize pack which includes a can of Lucky Leaf pie filling, a recipe card, a ceramic pie bird and two pie slice boxes and forks. Do you love to bake or do you have mad cooking skills? 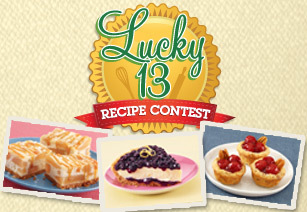 Enter the Lucky Leaf Lucky 13 Recipe Contest for your chance to win $2,500! There are 13 prizes up for grabs – the Grand Prize ($2,500), 4 2nd place prizes of $400, and 8 3rd place prizes of $100! The contest ends December 2nd and then voting begins on December 3rd and runs through December 17th. So get your entries in and tell your friends and family to get ready to vote! My mom makes the stuffing. She doesnt use fruit or nuts….just celery and onions. But it is delicious! I use the traditional items…onions and celery. I put in apples, celery, onion, green pepper,cranberries and sausage. 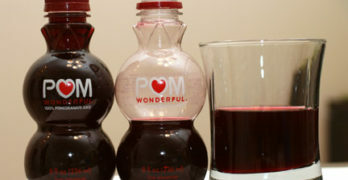 Oh looks yummy, thanks for sharing, will be pinning this recipe! 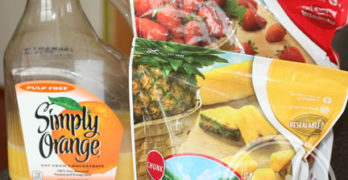 i LOVEa fruity stuffing and this one sounds awesome. Thanks! I put sausage, mushrooms, and onions in my stuffing. I love cornbread stuffing with onions & celery! My stuffing has celery, sausage and bread crumbs. I’ve never made stuffing that didn’t come from a box. I use just the basics, broth, herbs and onions. I’m not too adventurous with stuffing, but this sounds tasty!! 1/2 corn bread ,1/2 dried bread cubes, onions, mushroom, cooked giblets chopped and turkey broth with a little butter, sag salt and pepper. I put giblets, onion, garlic, sage and thyme in my dressing. I use sausage in mine but that recipe sounds good! I make traditional stuffing – celery, onion, sage, etc. I put lots of chopped veggies and pecans in my stuffing. This apple cranberry sounds wonderful! Who’d have thought?! I put onion and mushrooms in mine. I use celery and onions. I put walnuts and turkey meat in my stuffing. Mmmmm this sounds lovely! Stuffing is my favorite food at thanksgiving. I put sausage in my stuffing. I like cornbread stuffing with lots of onions and celery. My stuffing is pretty basic, stove top and follow the directions. My mother however, she brought out the grinder, attached it to the counter, and went to work. She would grind up giblets, walnuts, and bread into theh most delish stuffing ever. Too bad I don’ t have the recipe. We use apples, onions, and celery. I like to use walnuts. I cheat. I use Trader Joe’s prepared! Depending on what we decide, we sometimes put sausage in our stuffing. Mostly it’s cornbread and onions. I don’t put anything out of the ordinary in the stuffing because we usually have people over and I don’t want to “experiment”, but I like some of the suggestions from the other comments. I like celery and onions with spices in my stuffing. We put peppers and onions in ours! I put mushrooms in mine. cornbread, onions, celery. But a friend gave me a new recipe that I plan to use next year – it also includes biscuits and grits! I like to put onions,peppers, raisins and nuts in my stuffing. Thanks for the giveaway… we use savory herbs & sausage in our stuffing.